Can the Mutant Underground and the Inner Circle work together? Find out Tuesday, January 1 at 9:00pm ET/PT on FOX! 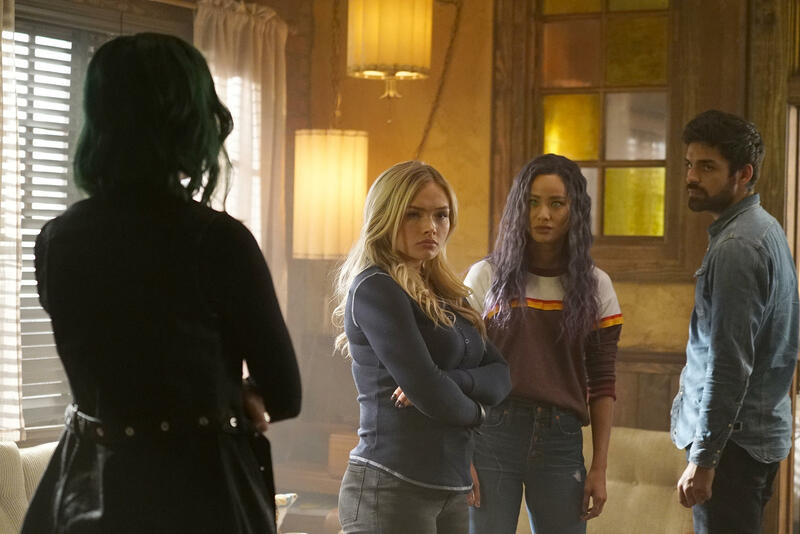 Kick off 2019 with “The Gifted,” as Season 2 continues on FOX with a big new episode airing New Year’s Day, as the Mutant Underground tries to decide what to do in the wake of the Purifiers’ capture of Thunderbird (Blair Redford). In Tuesday night’s “EneMy of my EneMy,” the Mutant Underground wrestles with the idea of recruiting the Inner Circle to assist them. Andy considers reconnecting with his family when he learns about his father's powers, but Lauren may not be as willing to have him back as their parents. Watch a preview of “The Gifted’s” return at the top of the page! You can check out more photos from the episode below. Don’t miss the return of “The Gifted” in “eneMy of My eneMy,” airing Tuesday, January 1st in a new timeslot at 9:00pm ET/PT, only on FOX!